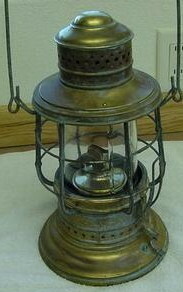 Dietz - Made from Brass or Tin, Dietz Dark lanterns are marked with the distinctive oval "Dietz" logo on the top of the lid. One characteristic that sets them apart from other Dark lanterns is the unique cage that protects the globe. 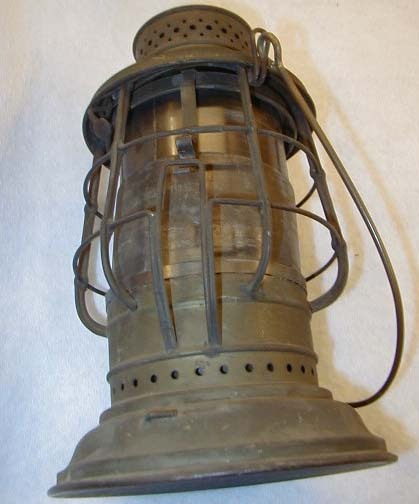 All other Dark lantern manufacturers use a straight "squared-off" cage... this Dietz cage is rounded and broader. Compare the Dietz cage with other Dark lanterns on this page and see how it stands out. 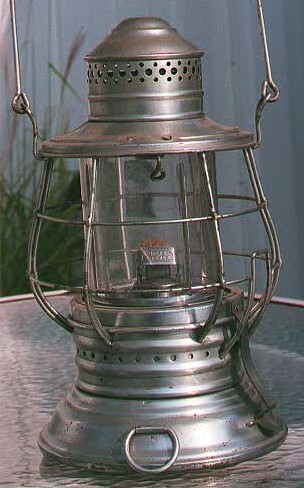 Dietz also made Deck lanterns... And it's interesting to note that they have the straight "squared-off" cage. Although the "brass" version usually is found with a "Simplex" burner... Both versions can be seen with a "Dietz Convex" burner as well. The "brass" Dietz Dark lantern is also very susceptible to stress cracks on the sides of the shield. These cracks make the shield inoperable. It is very rare to find a Dietz "brass" version with a working shield. Keystoneware and City Metal - These two companies only made Tin versions of Dark lanterns. Keystoneware lanterns are finely stamped on the top of the lid with a Key and the letter "K" inside a Keystone shape. The word "Keystoneware" is stamped in an arch above the symbol. In contrast, City Metal lanterns are strongly stamped "City Metal" on their lid. 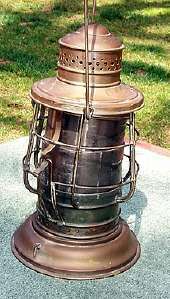 Both the Keystoneware and City Metal lanterns have a straight "squared-off" cage and use burners marked "Simplex" from the E. Miller Co. The City Metal Fount has a pedestal that raises the burner up an additional quarter inch. This is unique and isn't seen on other documented Dark and Deck lanterns. A photo can been seen on the Fount & Burner Page for more detail. 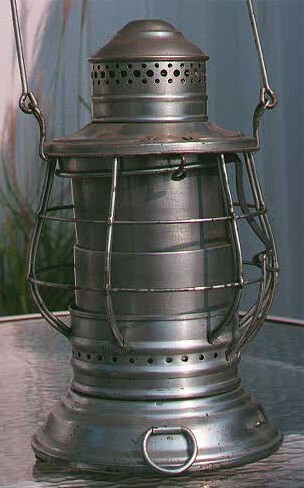 City Metal lanterns also have uniquely designed air holes cut into the top lid. All other Deck and Dark lanterns have a standard set of air holes. Click to enlarge Vogel Stamping Corp.
Perkins and Vogel Stamping - These two companies made their Dark lanterns from Brass. A Tin version has yet to be documented. Both companies attached a brass plate with their company name stamped on it. The Vogel nameplate is a rectangular piece of brass that was mounted on the side of the lantern on the bellbottom. The Perkins plate was a brass oval tag affixed to the bellbottom as well. 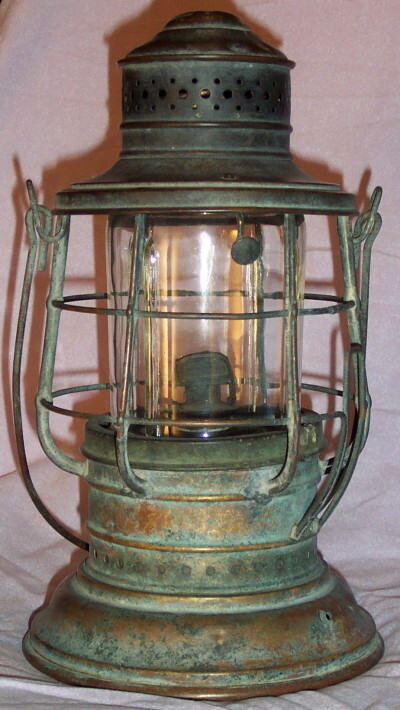 There is a version of Perkins lantern documented that does not have a brass plate. The lantern on the right does not have the brass plate and is interesting because this version of "Perko" stamp also is marked "Perkins Marine Lamp & Hardware Company". The Perkins Marine Lamp Company didn't change their name to include "Lamp & Hardware" until 1932.... after WWI. 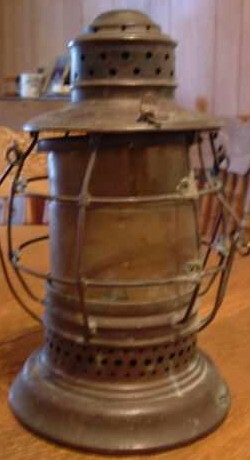 It has come to my attention that this lantern may be New Old Stock (NOS) and was stamped at a later date. Perhaps it sat in a warehouse and was marked when the company changed its name. It's construction is identical to the brass tagged version as well. 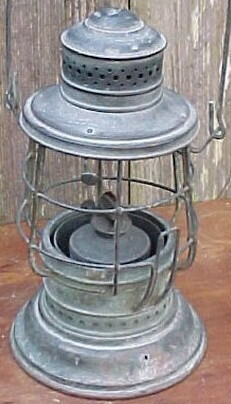 These lanterns also have the straight "squared-off" cage as seen above. 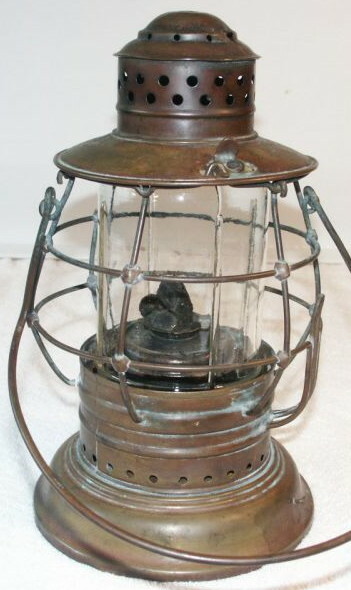 Perkins also made Deck lanterns... while it is unknown if Vogel did. Vogel lanterns generally are found with a burner marked "Vortex". National Metal Stamping and Spinning Co.
We are looking for additional photos and information about "Porter & Sons" dark lanterns... If you can help... Please contact us. Thanks! National Metal Spinning and Stamping Co. - This company made their Dark lanterns out of Brass. I haven't seen a Tin version yet. They are identified by a wonderful herald located on the bottom of the fount. 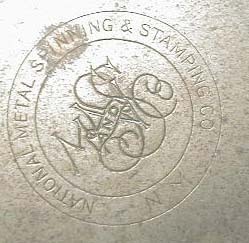 A finely stamped herald that reads "National Metal Spinning & Stamping Co NY". It generally has a "National Marine Lamp Co." burner on the fount. Anyone with additional information, please "Contact Us" . Thanks. William Porter & Sons - This company looks to have TWO versions of Dark lantern... both manufactured from Brass. No Tin version has yet to be documented. The top Porter & Sons Dark lantern (#1) was identified to me by a visitor to this site, but I was unable to clarify where the company marking is located on the lantern. It looks to be a newer style of lantern from Porter & Sons. 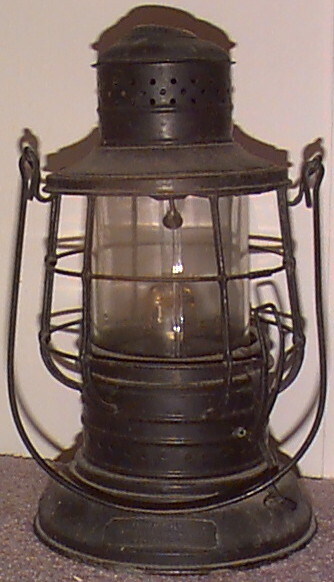 The second Porter & Sons Dark lantern (#2), is not marked as well, but is identical in its construction to numerous other Wm. Porter lanterns. Similarities include lid latch, top vent holes, bottom vent holes, and cage construction to name a few. 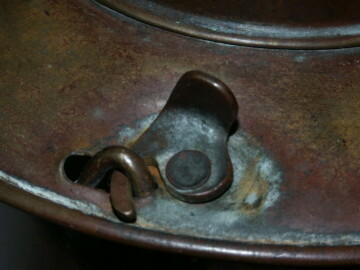 The lid latch can be found on numerous other models of Porter lantern (fire, conductor, ship, etc...). I have no documentation on which burners came with either of these two version of Dark lantern. Anyone with additional information, please "Contact Us". Thanks! Click to enlarge Blickman & Co.
We are looking for additional information about "Blickman" dark lanterns... If you can help... Please contact us. Thanks! 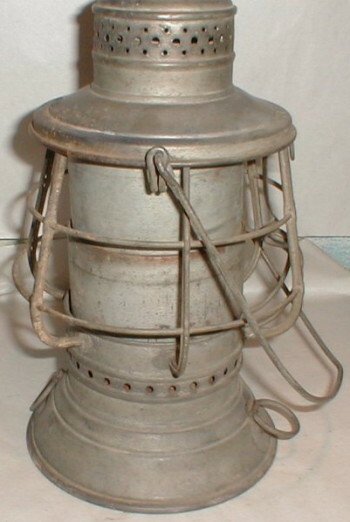 William Stegmueller & Sons - Only RECENTLY discovered to have manufactured Dark lanterns... this Tin lantern has the same wonderful quality construction as its Deck lantern counterpart. No brass version of any Stegmueller lantern has yet been documented. The markings are located on the lid and read "Wm. Stegmueller & Co. Philadelphia PA". Anyone with additional information, please "Contact Us" . Thanks. 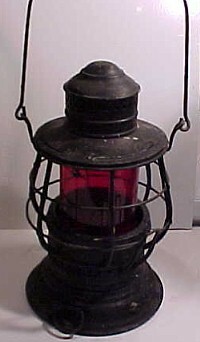 Blickman & Co. N.Y. - This VERY RARE lantern was also just recently documented. It is made of Brass and marked " ?? Blickman Co. N.Y. " on its lid. The first two initials are unreadable. 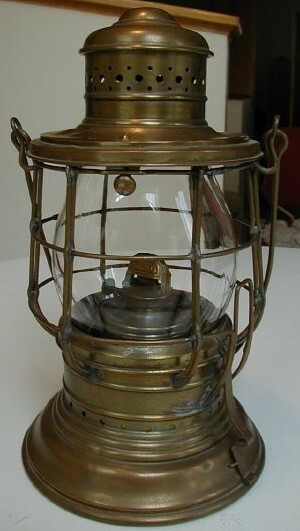 The lantern is VERY sturdy and does not seem susceptible to stress cracks like other manufactured Brass dark lanterns. Classy styling, such as extra angles in the top of the shield and the extra lip on the top lid, make this lantern stand out. A tin version has not been documented. 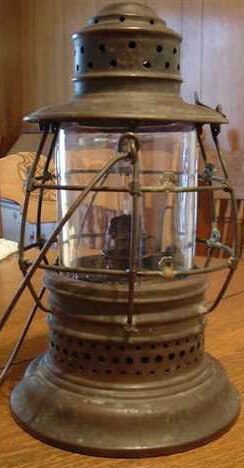 This lantern came with a burner marked "Simplex" from the E. Miller Co. Anyone with additional information, please "Contact Us". Thanks! 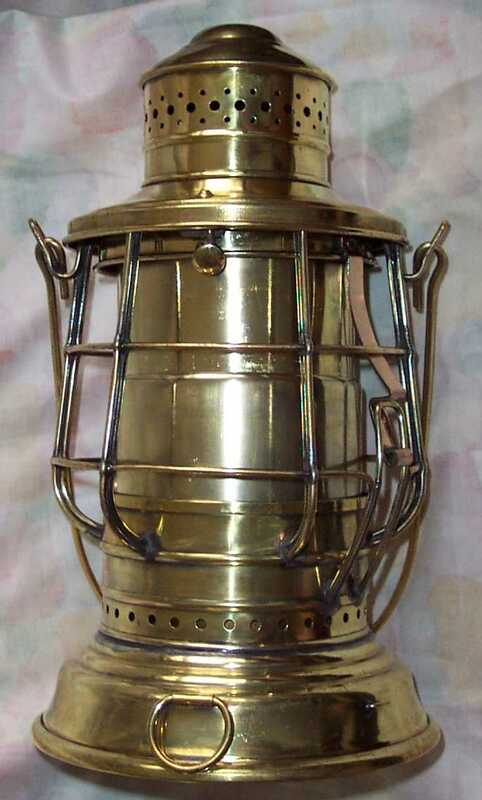 Unknown manufacturer- Made from Brass, this Dark lantern hasn't been identified as of yet. It could possibly be made by Perkins or National Metal. It has a "Simplex" burner. It is not made by Dietz or Porter because of it's physical construction. 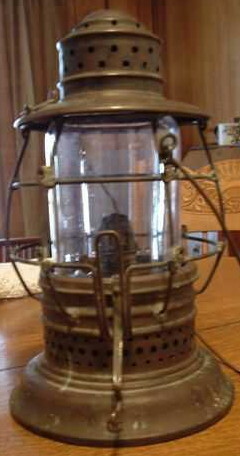 Any additional information on this lantern would be greatly appreciated. Thanks!